Are you creative and love computer games? Want to combine your traditional art skills with cutting-edge creative technology? A computer games artist creates a game's characters, assets, environments, creatures and vehicles, as well as producing concept art and storyboards at the planning stages. This module introduces you to the fundamentals of computer games animation. Using industry-standard hardware and software, the module develops the core skills required for the games animation industry. You study the artistic and technical aspects necessary in a games animation role. You do this by using tried and tested animation techniques, producing a range of simple 3D and sprite-based animations. You work is presented in a suitable game engine. You are introduced to relevant digital software packages, such as Adobe Photoshop, enabling you to investigate the creative potential of digital painting. You look at initial approaches and techniques used to create concept art especially in the context of digital image making. You extend your sculpting experience to include significant consideration of organic modelling, and explore the creation of anatomically aware characters and creatures. Consideration is given to the different scenarios for which models are created from high-end VFX through to matte painting visual aids. You also consider the creation and sculpting of clothing and props as well as the techniques only deployable in non-real-time development such as dynamic subdivision for displacement. You study the fundamental principles used to produce real-time 3D models and 2D textures within a real-time game environment. You create a 3D asset which can be used as prop within a game engine or other real-time applications such as virtual reality. Lectures explain the principles of the modelling tools available in advanced modelling software and expose you to examples of how these techniques have been used in producing finished computer games. In practical terms you use a combination of industry-standard 3D software for modelling and industry-standard texturing software to create textures. We give specific attention to art pipelines, which are used by practising game modellers. You focus on developing your skills and workflow through integration of games art into a level using an industry standard games engine. You are introduced to technical art solutions, developing skills to create dynamic and engaging immersive environments. This covers importing assets and scene creation while developing deeper understanding of more advanced engine editor tools. Knowledge is developed to consider performance while developing skills in lighting, particle effects, post-processing, advanced node based material shaders and integration of dynamic effects and events using visual scripting, resulting in a well-rounded knowledge base. You examine the authoring of hard-faced objects including character armour, vehicles, weapons, and architecture – assets with a regular predictable rigid topology. You develop an understanding of how various hard-surface objects are designed and developed within a game production pipeline. All produced assets are exported into a game engine. You are expected to produce efficient professional models with sound topology. Therefore you must have a thorough understanding of the best practices for hard-surface modelling. In this module a hard-surface object is defined as the creation of non-organic asset such as architecture, vehicles, consumer products, hard surface clothing, and environments. This encompasses all rigid character and architecture models. Additionally a hard-surface model is a ‘non-flexible model’ – an object, that if animated would not deform, but rather move in a mechanical fashion – such as a car, mech, airplane or helmet. Organic modelling is used to create multiresolution 3D assets in the context of character and environment production and design, utilising relevant modelling and sculpting techniques to create a 3D object with soft or organic characteristics – this can be a character or soft environment asset. Approaches to modular asset creation for game environments with a focus on architecture, environment planning and contemporary games engine pipelines will feature heavily, combined with the core principles of game character creation that will feature anatomy and animation appropriate topology. You are provided with the opportunity to develop an online portfolio of material to a professional standard in your chosen field of study. You produce a body of work reflecting your own specialisation, demonstrating your understanding of core industry requirements, practices and pipelines with a view to showcasing your creative and technical ability via an online portfolio. This portfolio is intended to demonstrate your understanding of the quality of work expected at a professional level. You are expected to present your work in an appropriate online format – this may be embedded video, blogs or a specific portfolio website. You focus on creating high-quality cost effective game assets by developing new skills and building advanced knowledge in procedural material generation for complex shader workflows and 3D capture assets using scan data. Along with node-based materials, you develop photogrammetry skills for the production of high quality 3D Assets. 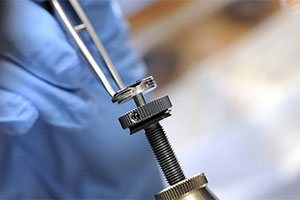 You cover topics including material creation and clean-up/repairing of scan data, as well as digital restoration. These assets are then optimised for in-engine usage, through re-topology and texture conversion for advanced physical shaders. Game Art Project is a large scale piece of individual coursework, completed under the supervision of a project supervisor and a second reader. You agree the project parameters with your supervisor with the aim to produce a substantial artefact related to the graphical games field. The process begins with a pre-production document and culminates in a written reflective report and a viva where the artefact is presented and defended. You learn in lectures and tutorials. 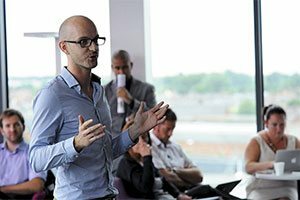 The lecturers provide you with specific theoretical information related to the subject while the tutorials focus on developing your practical skills. In the later tutorials you work on assessments and use this time to get feedback and advice from tutors. Further support is offered online in the form of extra learning material. You are expected to manage your time to complete work outside the tutorial sessions. We believe that is essential for you to learn through the experience of doing. Assessment for all modules is in the form of practical projects, which you work on throughout the year. You develop a portfolio of games art throughout the course. In Year 2, the Journeyman Project provides you with essential teamwork skills ready for industry. The Project in the final year allows you the freedom to set your own project based on your skills and interests. A typical offer is 96-112 tariff points including at least two A levels (or equivalent), or 64-80 for entry to Year 0 (Foundation Year). You are invited to attend an interview and present a portfolio of your work. If you don't have an appropriate educational background for this course, you may receive an offer in a related but more suitable area. 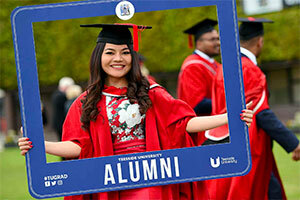 If you’re applying for entry to Year 0 (Foundation Year) please use UCAS code W283 BA/CGAFY. 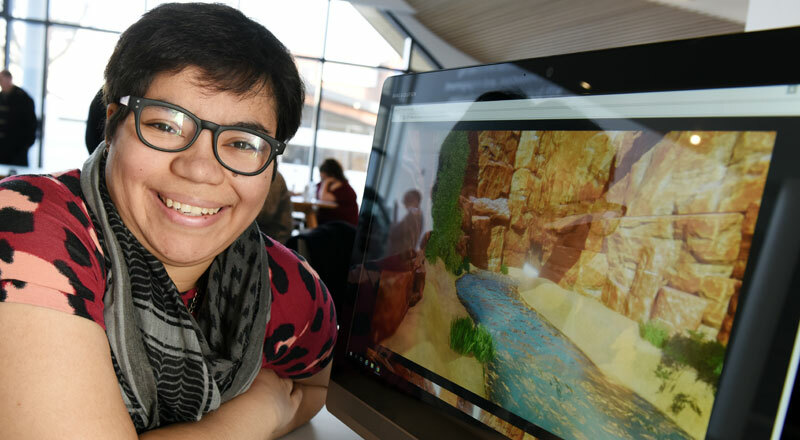 This highly specialist degree offers the skills you need for a career in the games industry and also provides generic skill which open up numerous career paths in digital media – typically areas of film, TV, advertising and multimedia – through to architectural visualisation. Graduates from our games degrees have gone on to work as artists, level designers, 3D modellers and texture artists at a wide range of games companies including 3rd Dimensions, Atomic Planet, Bizarre Creations, Blitz Games, Codeworks, Eutechnyx, Halch, Media Molecule, Microsoft Rare, Rebellion, Rockstar North, Sega, Streamline, Traveller's Tales, Ubisoft Reflections, Venom, Weta Digital and many more. 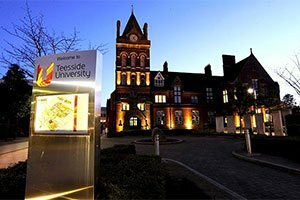 Kyeron received the Brittan scholarship to help support him through his studies at Teesside. 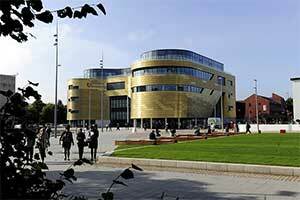 I heard Teesside was the best place to study games and after seeing some student work I made it my first choice. 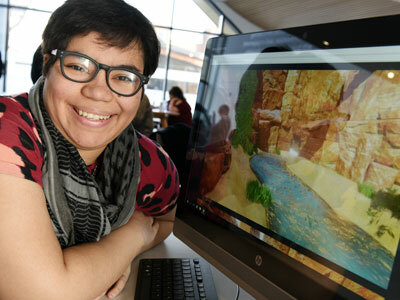 Computer games art student Selina Peart-Pearson is off to America after securing a place at a global event - come to our Open Day this weekend to find out more about opportunities to broaden your own horizons.